Alexander Borodin was a polymath, a genius in two fields: music and chemistry. 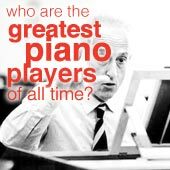 Although composing music was never really more than a spare-time hobby for him, he ranks amongst the greatest Russian composers for his lyrical and inventive music. I'm quite fond of Borodin's music, even though there isn't really much of it! He was too busy helping people or blowing things up with chemical reactions to write much. 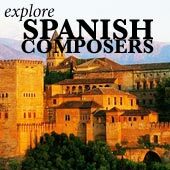 Borodin is one of the most inspiring composers I've written about on this site. He was a truly noble soul, a contributor to humanity, who put others before himself and followed his passions with intensity and joy. He knew how to live a fulfilled life! Alexander Borodin was born in St Petersburg 1833, the illegitimate son of a Georgian prince and a serf. His half-blue blood freed him from a dull life as a peasant, and allowed him to get a better education. He studied piano and cello as a youth, but was drawn to chemistry after trying to make fireworks. He went to study medicine, and became a surgeon for the Russian army. He later became professor of chemistry at the Medico-Surgical Academy in St. Petersburg, and spent the rest of his life teaching students there, a career which he loved. He also spent a lot of his time doing scientific experiments. He said in a letter that writing music was just a relaxing activity to fill time while he was away from the chemistry lab or classroom. In fact he would often pause during discussions on music to check on experiments! He also said that he could only compose when he was too sick to give lectures. He actually gained a lot of respect in the chemistry field, making some important discoveries and publishing dozens of articles. Borodin also met Mily Balakirev, the great champion of Russian nationalist music. Borodin then became part of The Five, (a group of Russian composers whose goal was to produce a uniquely russian style of music in a Russian way), where he was encouraged by the likes of Rimsky-Korsakov. Balakirev mentored Borodin in composing, shaping the young man's talent. He even got him to write a symphony, which premiered seven years after it was started (with Balakirev conducting). The premiere was hugely successful, and inspired the composer to start a second one. Borodin started working on an opera as well (Prince Igor), but gave it up. He gradually lost his enthusiasm for chemistry, since there wasn't much funding for research in Russia. So he gradually stopped experimenting, which freed up his time for composing. 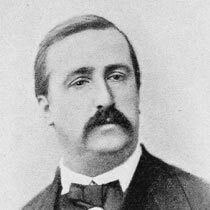 Borodin died in 1887 of heart failure. At the time, he was dressed up in a costumed ball, dancing a vigorous Russian dance, when an artery burst. He was hugely generous with his time and resources, and also spent most of his life fighting for women's rights to proper careers. A story goes that his house was always packed with relatives and friends who were sleeping in every room, on couches or the floor. Borodin, full of kindness, didn't want to disturb them by playing piano... no wonder he didn't write very much music! Read about the lives of the other famous Russian composers, including Borodin's friends in the The Five. Alexander Borodin's music (what little there is of it!) shows a gift for lyricism and romantic beauty. Inspired by the ideals of the The Five, he wanted to create Russian versions of traditional genres like the string quartet. He also used snippets of Russian folk music in his work. 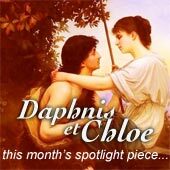 Alexander Borodin used inventive harmonies and rhythms in his music, which directly inspired the floating, exotic nature of French composer Claude Debussy's music. The hungarian piano-god Franz Liszt was also a fan of Borodin's music, and championed the Russian's work in Europe. Polovtsian Dances. A selection orchestral dances taken from the unfinished opera Prince Igor, these grand and exotic pieces have a wonderfully intoxicating flavor. 2 String Quartets (notably the second one). Borodin's Russian take on the string quartet genre proved to be some of his most popular music. The graceful beauty of the first quartet is more than matched by the romantic and whimsical character of the second. The third movement of the second quartet, a shy nocturne, is a concert favorite. 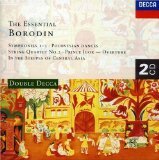 Second Symphony: Borodin's greatest, important large-scale work. Liszt himself said, after he and Borodin had played it through in a piano arrangement, that it was completely new and no-one had done anything like it. What praise! In the Steppes of Central Asia, a beautiful orchestral poem, depicting the wild beauty of Russia's vastness. I only wish, like so many others, that he wrote more! Of course, with Borodin's rich music you'd not want to spoil it by listening through a poor audio setup. See the home audio system section for info on getting great sound.